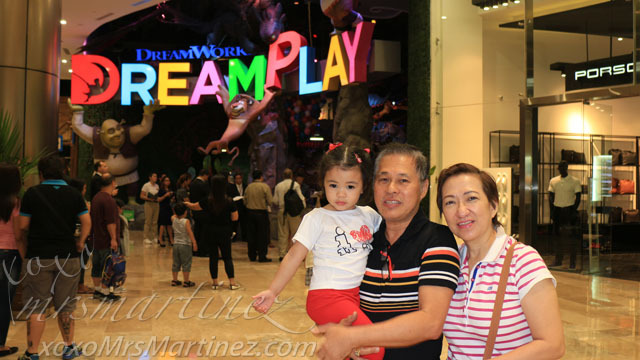 DreamPlay: Activities/Attractions, Tickets, What To Wear, Tips & Etc. 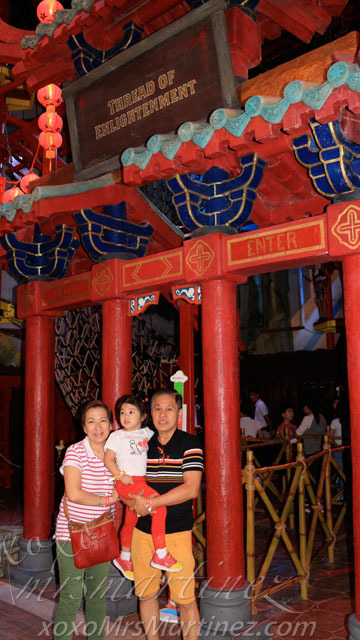 Today, June 12, we celebrate Philippine Independence Day or "Araw ng Kasarinlan". Today also marks the start of the long weekend... yey! Do you have any plans yet? 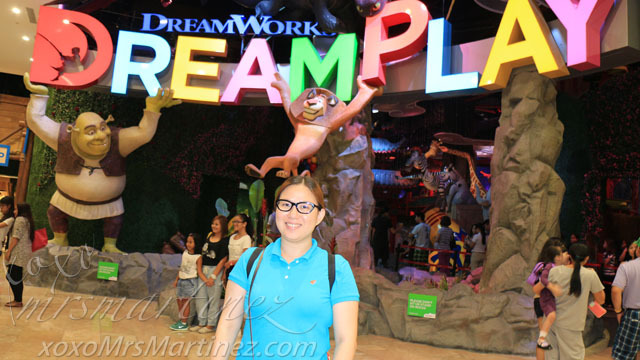 Why not go and visit DreamWorks DreamPlay located in City of Dreams Manila. 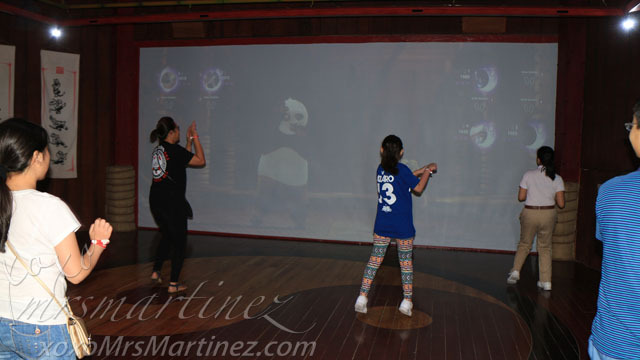 It is an all-new interactive entertainment concept that is the one place in the world where your favorite DreamWorks Animation characters come together and allow you to Play, Create and Learn. 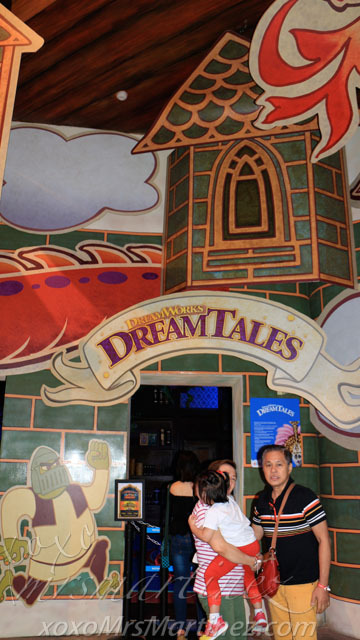 We visited DreamPlay earlier this week. Travel time from Quezon City to the park took more than an hour and a half. We were there before 12 noon- excited and hungry. We were third in line. The first two groups in front of us were being served simultaneously by the two opened counters. We still have to wait in line for a good 10 minutes. I need to sign a waiver/consent form while standing in line. The management should open more counters to serve the customers better and please make the procedure of registration simpler. We were in front of the counter when the attendant asked for the age of my little girl. It turned out she still gets to enter for FREE because she stands less than 100 cm. 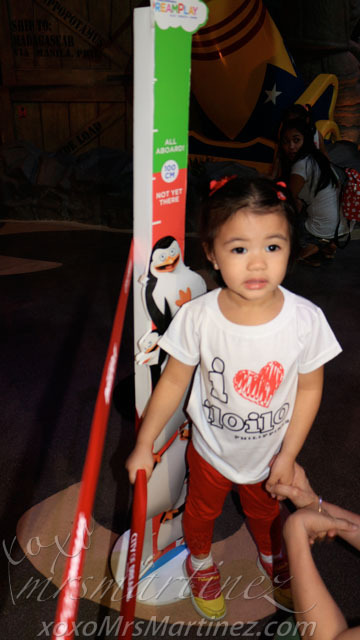 I was prepared to pay for her entrance fee because I didn't know about the height limit so... yey! 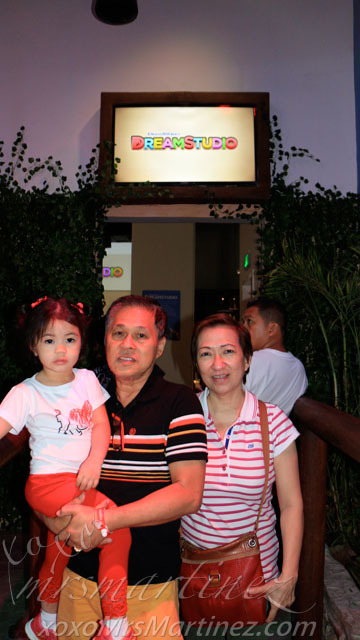 Free entry on your birthday and discount for your guests! Children ten (10) years and older may remain inside the Facility without parental accompaniment. 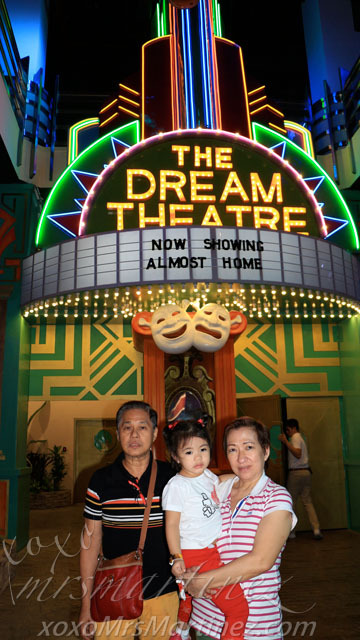 I bought three 4-Hour Pass (Kids Rate) at Php 680 per pax so we can access all the attractions and not limit ourselves to just two attractions- DreamTales Library and DreamTheater. With Adult Tickets, you can only access the said two attractions. My parents and I were issued Red Wrist Bands while my daughter was issued an Orange one. 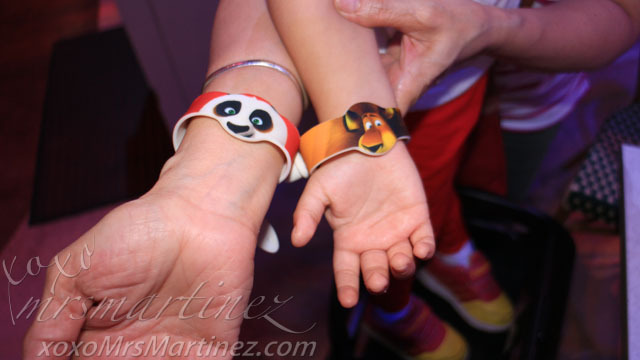 All wrist bands must be surrendered when you exit DreamPlay just beside the DreamShop. Aside from the two attractions mentioned above, my daughter can access Whatever Floats Your Boat, Gingy's Kitchen and AfroCircus provided she is with an Adult Companion wearing a Red Wrist Band (Kids Rate=All Access). 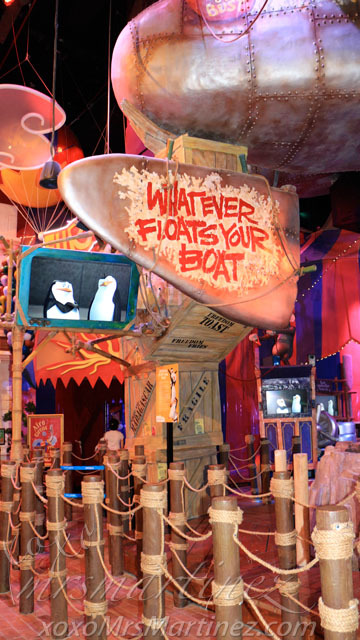 The Penguins of Madagascar need your help to create a soond seafaring vessel! Join Skipper, Private, Rico and Kowalski on their next operation, you will not only assemble your very own boat, you'll also sail it down the river! But be careful there maybe a few obstacles along the way. 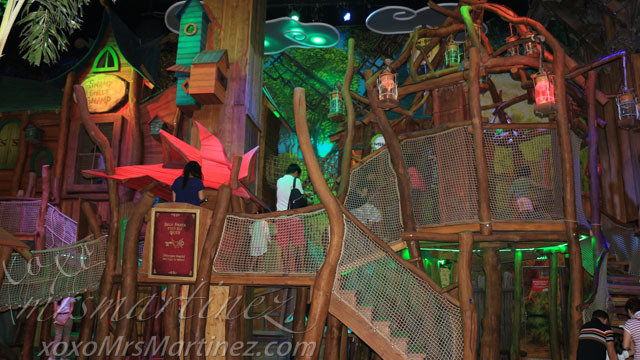 Dive into a world of foam and fun as you join Alex, Marty, Melman and Gloria int his multilevel play area. Afro Circus is just like Active Fun. 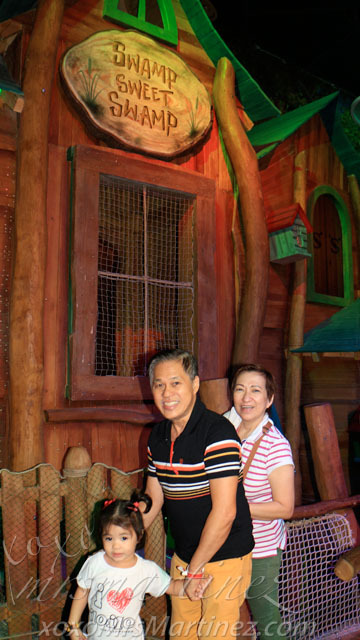 The size of which is comparable to Active Fun Megamall. My daughter spent a good 30 minutes inside playing with the balls, swinging and climbing up and down the area. Tip#1: Afro Circus is great for kids aged 2-4 years old. Tip#2: For Adults & Kids alike, please DO NOT forget to bring socks. It is required in most attractions like Afro Circus. First on the agenda was to eat lunch. 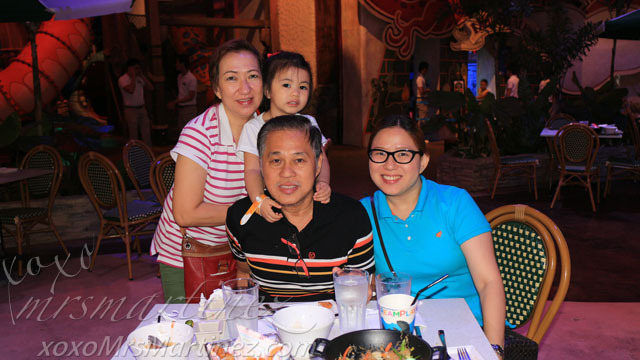 While I was ordering our food, my parents took my little girl to Whatever Floats Your Boat and Afro Circus located at the Madagascar area. 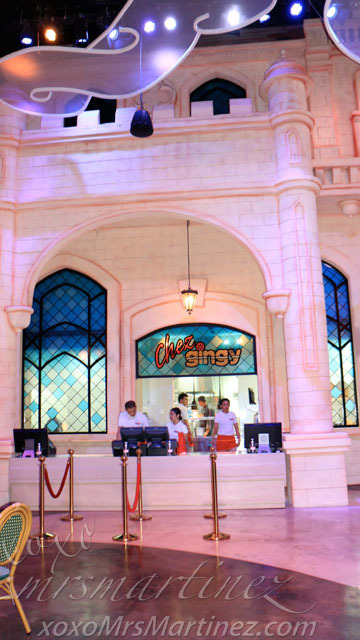 The location is quite strategic as it just on the right side of Chez Gingy- the one and only fast food joint inside DreamPlay. I was able to call them immediately when the food arrived. I could not say that the service was fast because the food was delivered 20 minutes later. I wonder how many minutes or hours will it take them to serve the food when the park is full to its capacity. But the staff were all commendable because they were all very helpful. One of the staff even set up our table which is not the norm in a fast food restaurant. 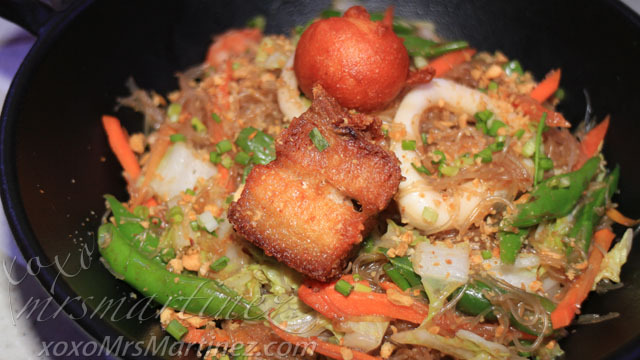 One of the bestsellers in Chez Gingy is Mr. Ping's Secret Noodles version of Pancit Bihon and understandably so, because the ingredients were aplenty and it tasted yummy too. The serving is good enough for 2-3 persons. While perusing the menu, I noticed that there was no rice toppings available. The one taking my order recommended Honey BBQ Chicken Strips and an order of extra rice (Php 50). Our order came with French Fries and Coleslaw. It was deliciously good too. I suggest you eat it upon serving. It was not so good anymore when I reheated the remaining portion at home. 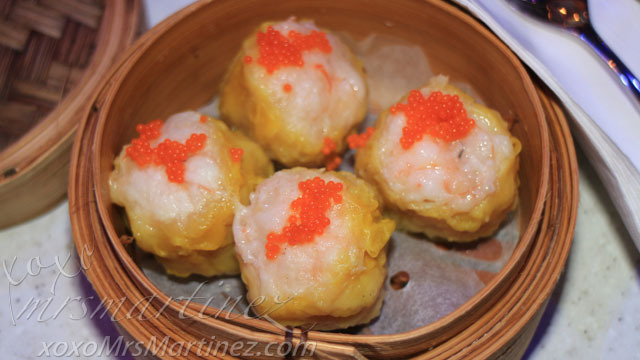 I ordered Shu Mai for my little girl. I was not disappointed, all four shu mai were filled with shrimps, just like the ones served at 5-star hotels. 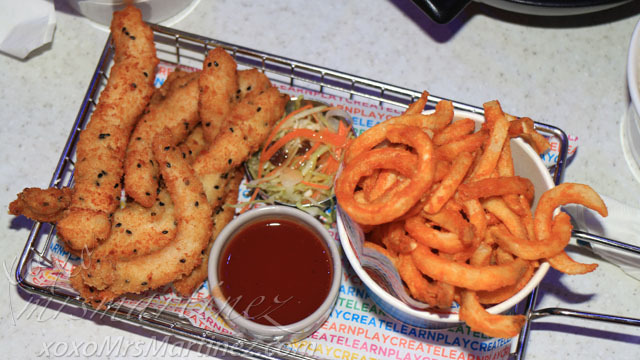 There are actually a lot of food on the menu like burgers, pizzas, panini, nachos, and salads. 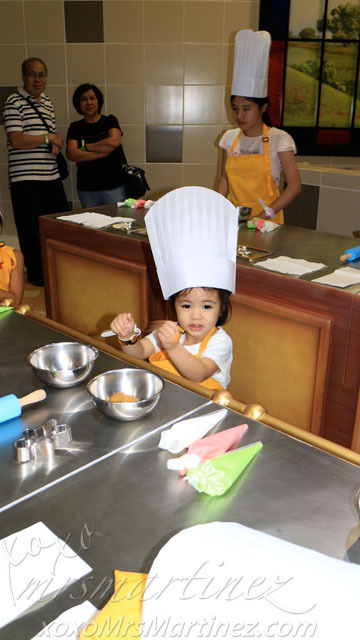 Aside from smoothies, chilled juices, coffee and hot tea, there's also cakes and ice creams. All under Php 400. There's a bottomless cup available for only Php 140. The vendo machines are located on the opposite sides of Chez Gingy. Tip#3: Water is free of charge. Tip#4: You may want to eat outside first before entering the park. It consumed an hour of our time, from ordering to finally finished eating our lunch. 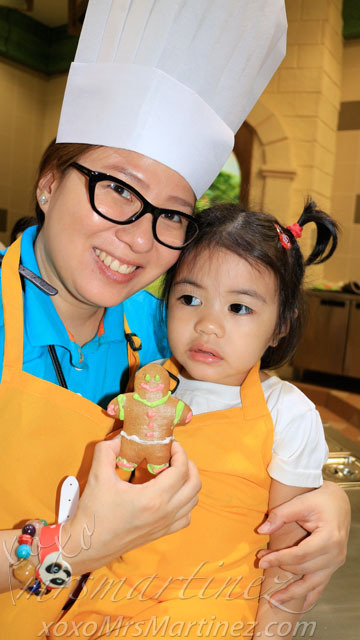 Tip#5: Register your kids at Cooking with Gingy Class first before visiting any other attractions. There are only 20 classes in a day and each class can only accommodate 12 at a time. Tip#6: Arrive at least 10 minutes before the class starts. Class starts on time so DO NOT be late! 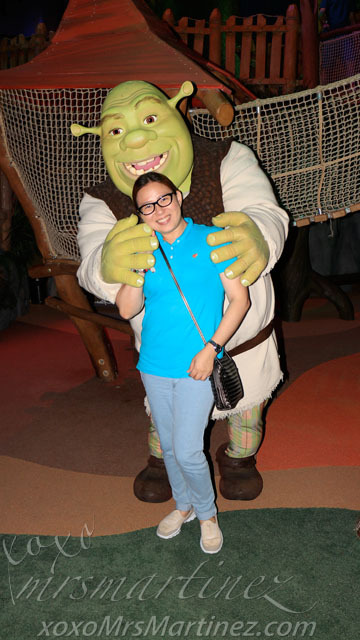 Cool Shrek covered my big, fat arms with his BIG hands ; p Thank you! While roaming around the park, I noticed an elevator and asked one of the staff what's on the next level. There were cool stuff upstairs but no one was manning them. I guess since it was a weekday, DreamPlay was understaffed. There was not a single employee in sight on that floor. 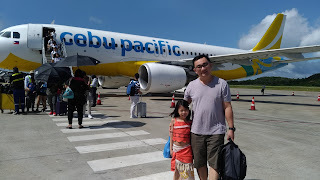 You are never too young or too old to fly an airplane! 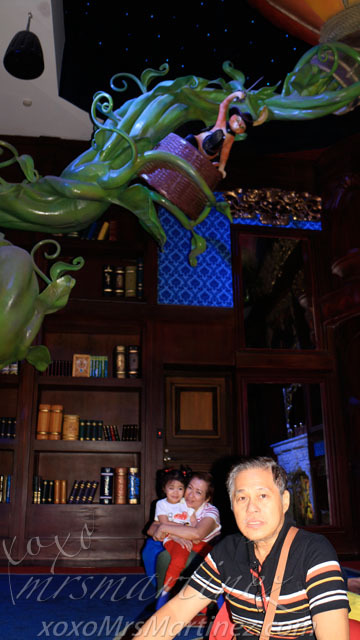 The 4-D movie experience was less than 5 minutes long. The waiting time was longer than the actual movie ; p Oh, the theater is a small one and can only accommodate 46 pax at a time. The seats are comfortable. And yes, the experience is worth the wait! 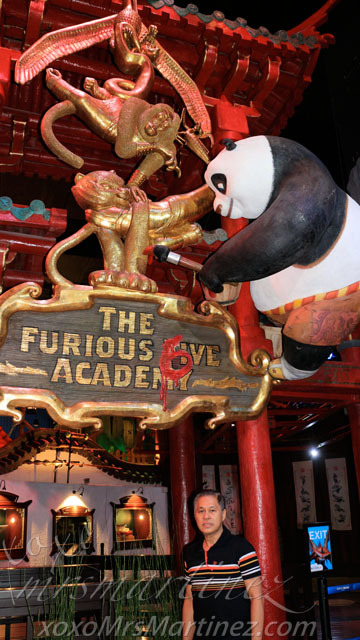 Join in the Kung Fu Panda Dojo and become a Kung Fu Mster along side Po and The Furious Five! Ready your Fists of Fury and prepare to kick the dumplings out of your enemies as you train with these KFP legends. 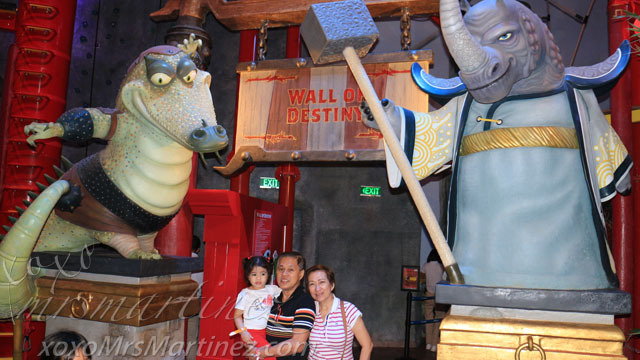 Who knows, you may even become the next Dragon Warrior! Tip#8: Arrive a few minutes early before the show time so you can grab one of the bean bags and lie down comfortably while watching the puppet show. The space above the fire place was where the puppets performed. No picture taking was allowed for the duration of the program. Socks were also required inside the Library. The story was similar to that of The Emperors New Clothes but the characters were different. The significant scenes were the ones with the 4 penguins. My daughter adores them. Puppet show schedule: 1:00 PM, 3:00 PM and 5:00 PM. 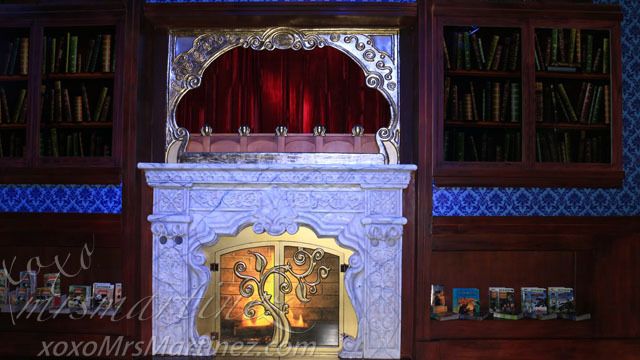 There are actual books inside the DreamTales Library. 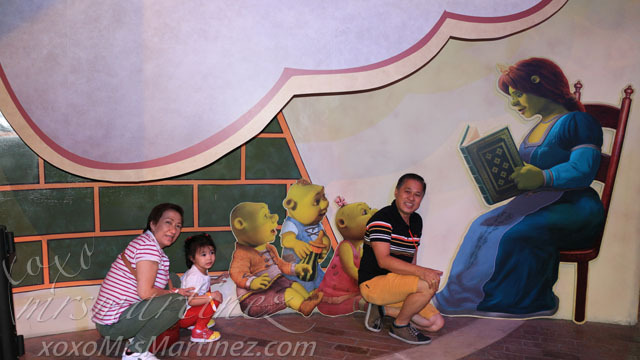 You can borrow and read books to your kids while waiting for the program to begin. Test your warrior skills and buckle up to climb the Wall of Destiny, where you'll see the Valley of Peace from a dragon's eye point of view! 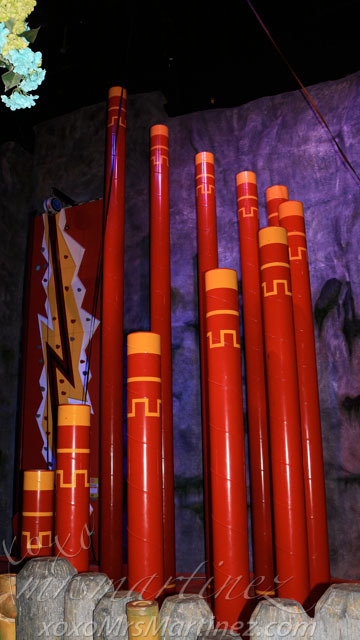 Get ready for an ogre the top experience as you tour Shrek's swamp house. Shrek is home to greet you, but he can't seem to find his keys and needs your help to look for them. Just be sure to stay away from his outhouse or you might get an unpleasant surprise. 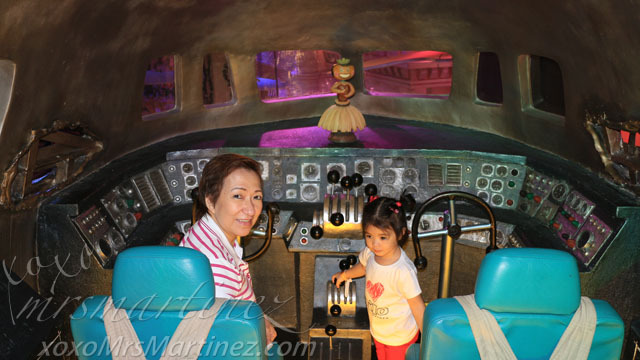 We went back twice at Shrek's Swamp Stomp. My daughter loved the idea of rolling, climbing and entering various tiny holes that can only fit one tiny person. 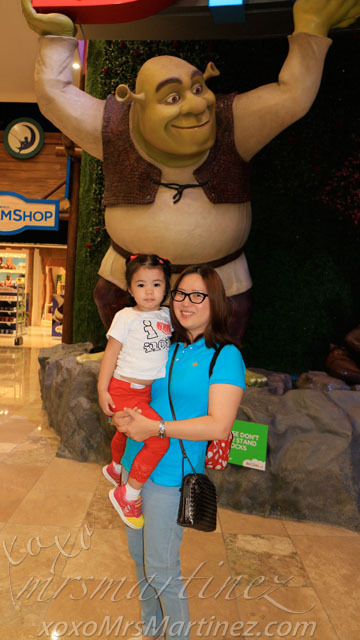 She totally enjoyed Shrek's Swamp Sweet Swamp. 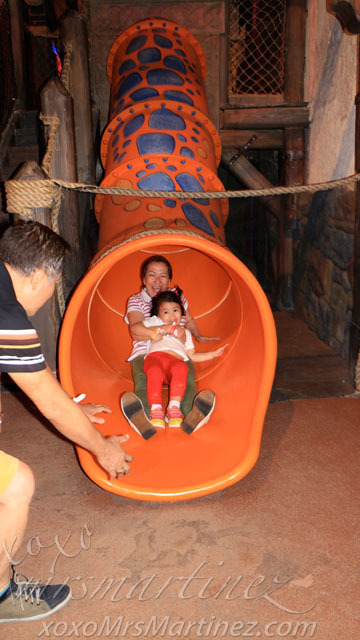 Tip#9: Wear long sleeves when you want to experience the slides. My mom's arm was scratched from going down the slide. 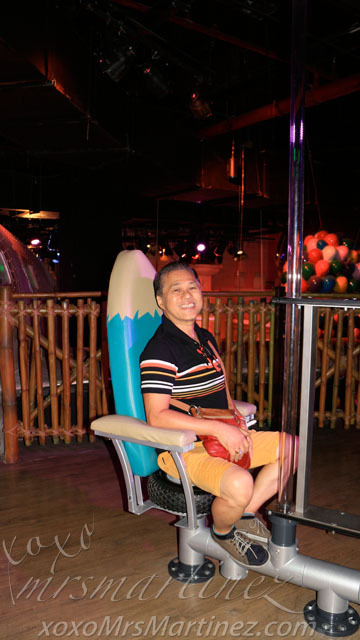 I played with this ball that you need to maneuver using the control pad in front of you. It's a very frustrating game especially for first timers like me. 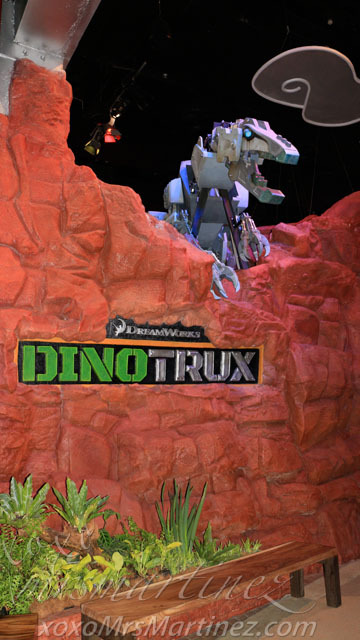 Join the Dinotrux at this construction site millions of years in the making. Learn how to build and pilot your own Reptools. 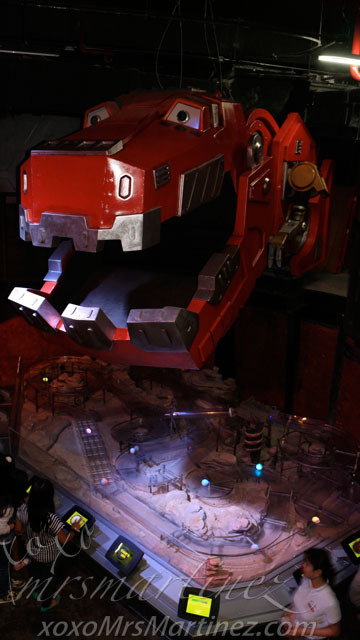 Then enlist the support of Ty and the other DinoTrux to create a world unlike any other! There's a control tower when you climb up the stairs. 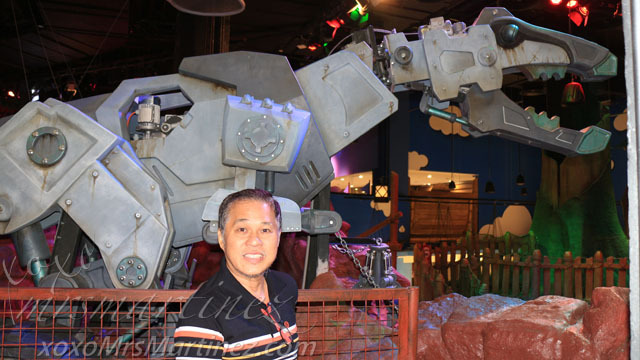 The Dinotrux can move his head from left to right and up and down. There's no dream too big for the Dream Studio! 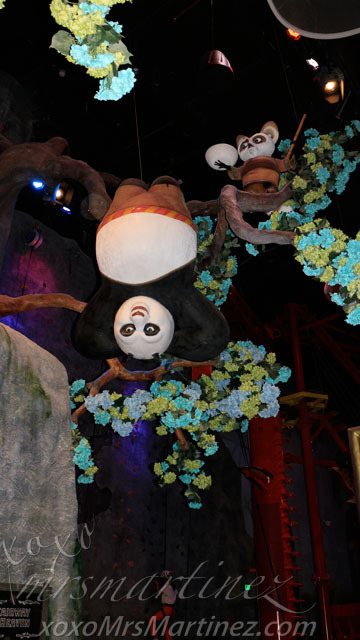 You're in the director's chair as your favorite DreamWorks characters help you make your own animated film! 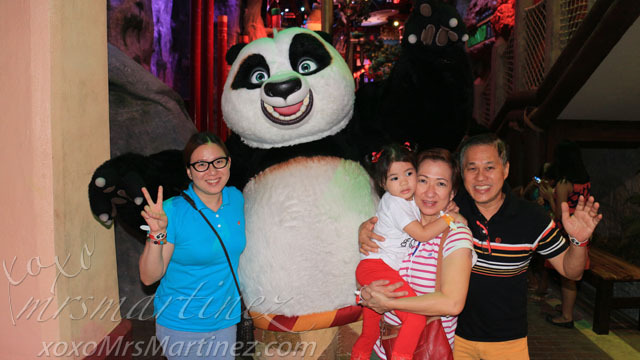 We were able to catch Po right before we left DreamPlay. We left at 4:00 PM, the crowd was already building inside and the line outside was pretty long. Our ride home took about two and a half hours. Is it worth it? Yes, just for the experience but we won't be going back anytime soon. Although I didn't experience long line in any of the attractions and the waiting time was just a few minutes, I dread the traffic. Now, if only DreamPlay was nearer. 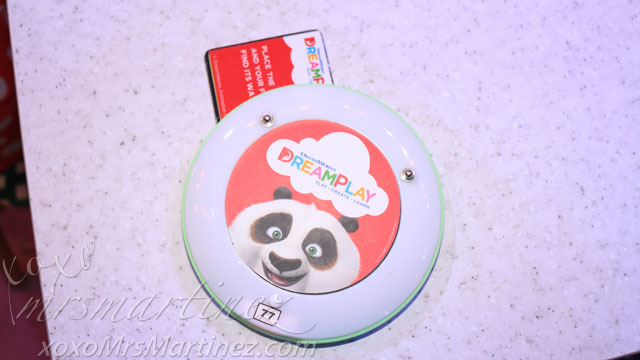 DreamPlay is located at City of Dream Manila Asean Avenue corner Roxas Boulevard, Entertainment City, Paranaque City For inquiries, please call 808 0909.